come together in East Hampton, NY. Learn more about our installation services. Everything you want can be right at your fingertips in East Hampton, NY. North Fork Custom Audio Video provides homeowners throughout East Hampton, NY with home theater systems and home automation. 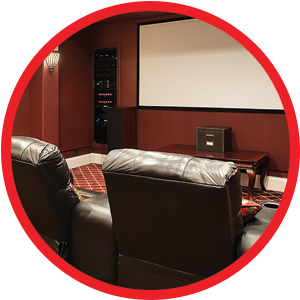 Whatever your desires: your own home theater, music throughout your house and outdoors, large or small scale, working within your budget, the staff at North Fork Custom Audio Video offers professional, courteous, and personalized service for your every need. Designing and purchasing audio/video equipment can be daunting — let us help you. Our goal at North Fork Custom Audio Video is to assist our clients in attaining their desires and expectations for their new home or home renovations. 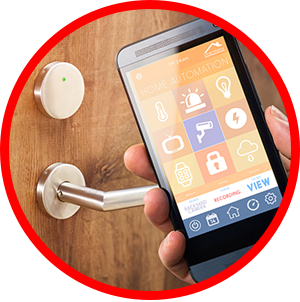 We can do this by integrating music, video, lighting, HVAC, and complete home automation in one easy to use package. We offer custom home theater installation. If you can imagine it – we can create it. 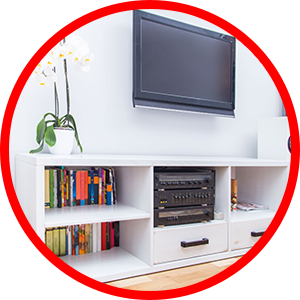 North Fork Custom Audio Video can transform your home theater ideas into a reality. We will work closely with you to design, custom-build, and install the home theater you have been envisioning. With custom-tailored designs for acoustics, theater seating, and fiber optics, we can design a system that will specifically cater to all of your home theater needs. North Fork Custom Audio Video specializes in designing the perfect audio and video system for your home theaters and media rooms. We can install surround sound audio/video systems, designed with the perfect balance of acoustics to create an intense and enjoyable viewing experience. Whether it’s a large screen, plasma TV, or projection system, your home theater will be perfectly and professionally completed. We use only the finest luxury brands. All across the east end of Long Island, North Fork Custom Audio Video provides a wide variety of audio/video systems. Our owner and staff have years of experience in the A/V industry, and a true passion for everything we do.